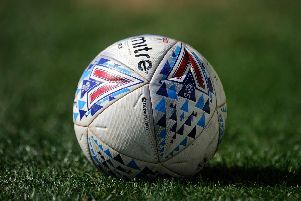 Fleetwood Town staged an in-house media briefing with new caretaker boss Barry Nicholson ahead of his first game in charge at home to Portsmouth tonight . Only the club’s own media team were allowed to attend the briefing, though The Gazette was invited to submit questions and we were sent a recording of Nicholson’s answers to the ones which were asked. Asked if there are different pressures to the last time he was caretaker boss (in summer 2016), Nicholson said: “Yes, we need results. The onus is on me to pick a team that goes out there and picks up a win. I’m really excited about the challenge. Asked what was the key to ending a seven-match losing run, Nicholson said: “I think the players need to go out confident in their own ability. I think there needs to be total positivity about the whole group. “Negativity comes from poor performances and poor results, so it is really important we try to stamp our authority and our game on teams and attack them as much as we can. “We know we are going to have to defend in games and we need to get better at that because we have shipped too many goals. Asked what he had learned working with the three previous men in charge at Highbury, Nicholson said: “I’m still a really young coach, with not a lot of experience at League level, but I have worked with some very good managers. As for team news, Nicholson said: “Full squad. Everyone is available to play. I have obviously got the difficult decision of picking the right 11 but it is a challenge I’m looking forward to. Asked if he had a message for those fans, he replied: “Stay with us and stick with the team. They’ll obviously be disappointed with recent results, so we need to try and put on a good performance. “They were brilliant last season when we were going for promotion. We need that same support again and I’ll do my best, as well as the players, to create momentum in our favour.